Are Parents College and Career Parenthood-Ready? My husband and I share an observation made in recent years: Some people will research a refrigerator purchase more than they will research their kids’ college choices. Anyone who has gone through the experience of parenting seniors in high school will recall it is a hectic, emotional, exciting, and anxiety-ridden time. While the overall up and down experience is one shared by most families, we found that the amount of preparedness for the additional commitment of time, energy, and focus toward the college decision process played out very differently among households. 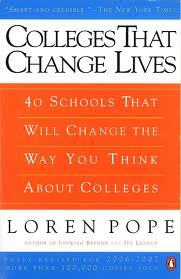 Author Loren Pope, in his well-known book titled, Colleges That Change Lives, wrote extensively about the importance of the college selection process. He made the argument that one’s choice of postsecondary education is one of the most critical and influential factors in long-term quality of life. In addition to the obvious outcome of having studied or prepared for more specialized learning or work after graduating, one’s college choice also usually influences friendships, locale, and networking paths. It can also influence one’s approach to problem-solving, the development of critical communication skills, and exposure to new cultures and to the arts. You can probably guess that we did our homework on the subject, which is why we are compelled to share our story. The better part of our last two summers and autumns were spent taking our children on their college visits, and when we were not taking our children on visits, we were discussing the ins and outs of the process with our friends, also parents of college-prep children. Although we thought that we had created a family culture and understanding about college-going expectations, it became quite clear in the first half of our children’s high school career that something had gone awry with that self-assessment. Our children did not always make the appropriate scheduling choices, leaving us to step in, time and again, and monitor their course selection. This exhausting process often left me at least glad that I was an educator and knew to persist on certain issues until they were resolved. Just as peer pressure had played a role in family expectations over the years regarding the type of birthday parties kids should have and whether they were old enough to go to Florida for spring break on their own, so, too, did the scheduling wars play out, in part, because of what peers were saying about teachers and classes, and because many parents took a relaxed approach to it all, seemingly unaware of the critical difference a few courses could make in student preparation and selection of colleges. While our children were definitely embedded in high achieving peer groups, there was still a deafening silence about college until late in the junior year, when the ACT suddenly entered everyone’s radar. To our knowledge, no one had individual discussions with our children about their EXPLORE and PLAN scores, or about how classroom assessments or other assessments related to students’ college entrance scores. There was much greater emphasis on state tests but even those were not discussed individually with students, and I never heard a peep about how rigorous course selections could enhance students’ readiness for college. Even though I am an educator and I tried to have such conversations with my children, to them, I was speaking as Mom, and mom tells kids to do a lot of things they half way listen to at that age. This dynamic leads into the next component, which is mentoring. In our circle of experience, a high number of students choose the university their parents attended, and sometimes they pursue the same career path as a parent. Often, our children’s friends’ searches encompassed two or three of the state universities only, making the decision seem fairly straightforward. But in our family, the conversation was going nowhere. I have always favored small, liberal arts schools while my husband favored larger universities with seemingly more concrete major to career path options. We discussed the pros and cons of each while our son ignored the entire subject. Engaging him was difficult, and the conversation had not even begun at school, it seemed. Looking back, I can only imagine the conflicting messages he was receiving between home, friends, and school. Researching the college options can reduce stress and increase likelihood that students make the best choice. In a matter of a few months, our family dialogue advanced from a stalemate to a closing consensus about what kinds of schools our son would consider and a plan for how the next 12 months’ work should look. With the help of the independent college counselor, our son finished his junior year of high school having thoroughly engaged in discussions about his aspirations, about the choices available, and about what it would take, with his academic profile, to reach the schools he most wanted to consider. After visiting nine schools in a span of five months over the summer and fall, he narrowed his list to five, and applied to those. Not only had the counselor helped him find schools that matched his interests, but also ones that likely would be able to help a student with his profile, financially. The counselor set deadlines for the steps of application, advised us on the specifics of the process, and gave our son pointers for those campus interviews and follow-up steps. By Thanksgiving break, our son had finished his applications, and by mid-winter, we knew his financial options from each school. This schedule allowed him to visit his favorite schools a second time, on days arranged for students already accepted. He was able to meet potential classmates and get a more personal “feel” for what life on each campus might be like. Even our children noticed the contrast between their experience and that of students left to the schools’ advising schedule. For example, when counselors visited their senior English class in September, our children had already concluded most school visits and were narrowing their choices for application. While their peers were being encouraged to arrange visits in the fall of the senior year, our children were finalizing their applications. Although we told many of our friends about the helpful direction and conversations offered by the college counselor, we found that few were inclined to seek similar help. Some parents assume that the process hasn’t changed much since they went through it. 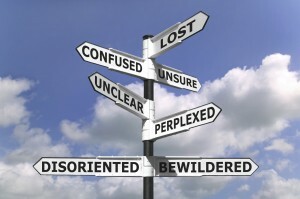 Others assume far too much about support and guidance taking place in the schools. Most, like us, simply are not aware of the array of options. The task of preparing more students in public schools for college and career readiness involves many layers. Finding the right fit for students is a key consideration that many overlook in the guidance process. What we learned is that a comprehensive advising approach connects all of the pieces in the best interest of the student. Any discussion with a student about his or her course selection and test scores should also include discussing how one might best learn in particular campus environments. Any discussion of selecting campuses to visit should include discussing the questions to ask while there. Any discussion of how much a family can afford toward college, should also include discussing the graduation rate of students (more than four years dents the budget) and freshman retention rate (can anyone afford to pay for a second freshman year?). Schools should involve parents as much as possible in the college advising process. Just as refrigerator options have evolved over time, so have postsecondary paths. The right fit is available if people know where and how to look. This entry was posted in Blog and tagged college advising, college choice, college search, college season, college selection. Bookmark the permalink.